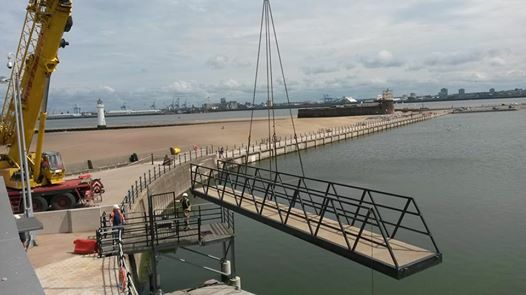 Our jetty and walkway at Our New Brighton Centre are now fixed. We are getting busier with sailing, raft building, kayaking, canoeing working with lots of local schools and support networks e.g. Wirral deaf society. We do boat hire at weekends and have the water zorbs (hamster wheels) which are great fun to watch from outside the restaurants. Also at the end of the month, Sunday 29th June, Jerry Skyner and a team of volunteers will be doing a charity triathlon for APH copb rehab unit (for those with breathing difficulties). He will be doing a walk, cycle around marine lake and then laps of marine lake in kayaks/ canoes. If anyone can offer any support even on the day with collection buckets etc. please get in touch with Ian mason email: newbrighton@peakpursuits.co.uk.